Secretary of State says Middle East peace plan efforts will begin “immediately” following Israeli elections. US Secretary of State Mike Pompeo said on Tuesday that President Donald Trump’s long-awaited Middle East peace plan efforts will begin “immediately” following the Israeli elections this April. 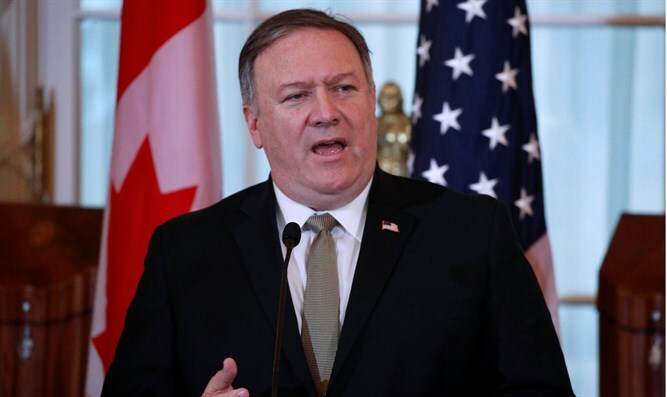 Speaking in a video-conference at the World Economic Forum in Davos, Switzerland, Pompeo said Israel and the Palestinian Arabs will “ultimately” have to come to an agreement, reported i24news. “We’ve been working on this for a long time. Mr. (Jared) Kushner has been in the lead along with Jason Greenblatt in developing our program. We’ve begun to share elements of this across the region. It won’t be a US-driven process,” the Secretary of State said. Details on the administration’s peace plan, which has been dubbed the “Deal of the Century” are not yet known. Last week, Channel 13 News, quoting an unnamed source, reported that the peace plan formulated by the White House includes the establishment of a Palestinian state in about 90 percent of Judea and Samaria, with at least part of eastern Jerusalem as its capital. US Ambassador to Israel David Friedman recently indicated that the US will not be releasing its Middle East peace plan in the immediate future. Regardless of what the plan says, Palestinian Authority (PA) chairman Mahmoud Abbas has rejected the US peace plan before it has even been unveiled. Abbas has been boycotting the US ever since Trump’s recognition of Jerusalem as Israel’s capital in December of 2017.